As the tides of all the trendy business initiatives from the last twenty years have all disappeared, one concept has remained in their wake and continues to thrive today: team strategies. When implemented correctly, the results are impressive. Organizationswhether they are corporations or ministrieshave successfully developed team strategies and are now experiencing significant increases in productivity and services. 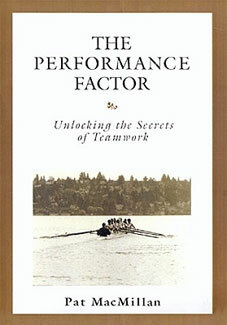 Team resource expert Pat MacMillan discusses the characteristics of a high performance team and how to implement a new paradigm of leadership to bring any organization to greater efficiency.